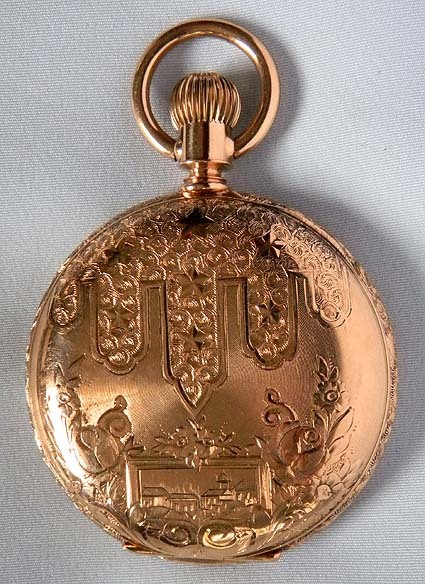 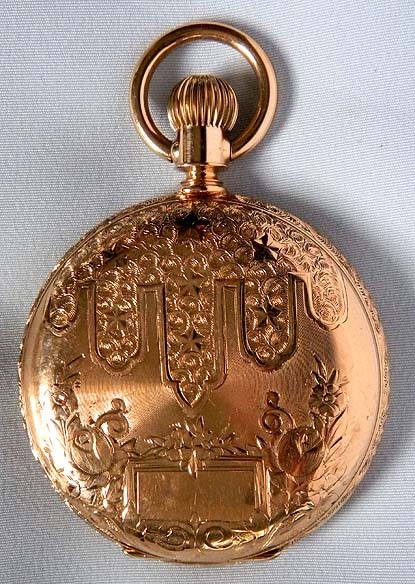 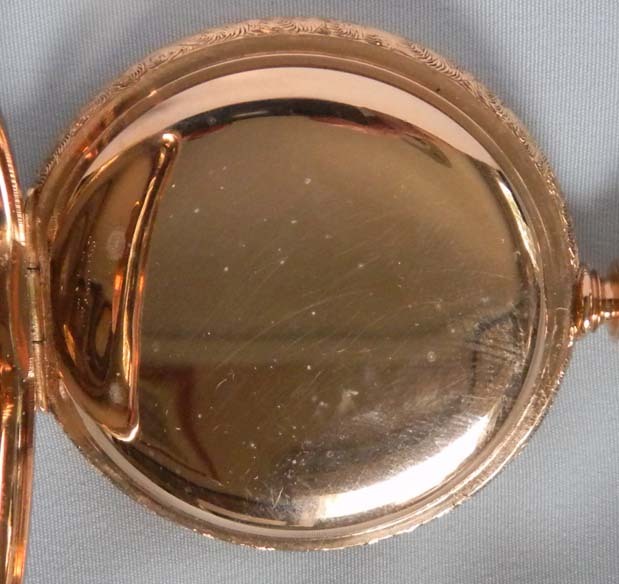 Handsome N Howard 14K gold antique pocket watch circa 1889. 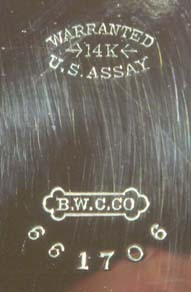 The covers beautifully engraved overall. 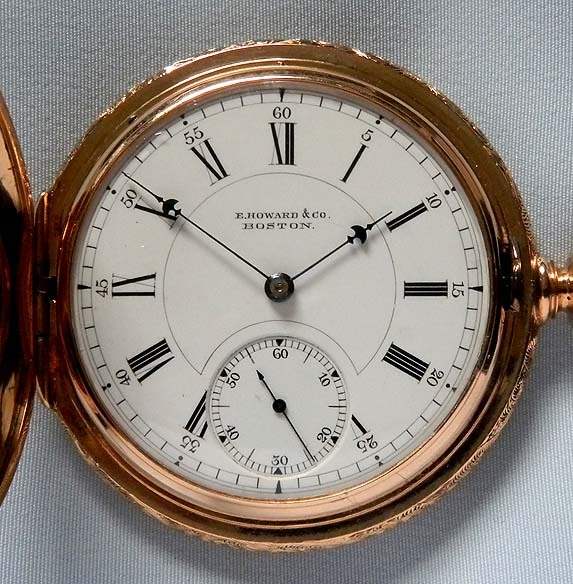 White enamel dial with black markings and blued steel Howard "umbrella" hands. 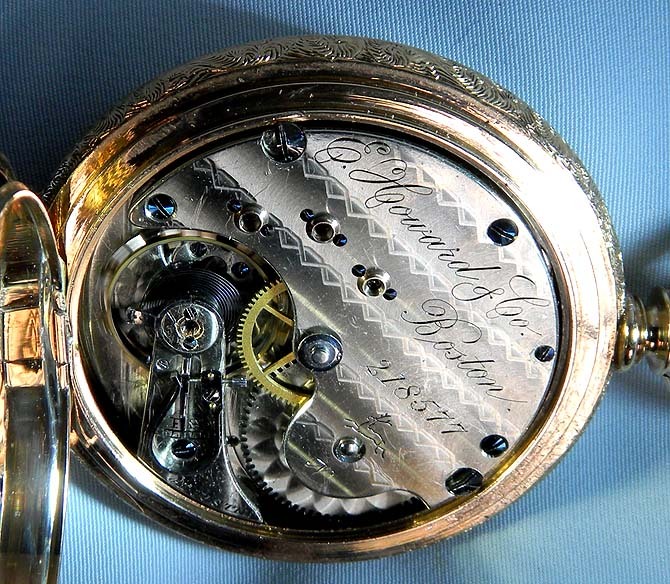 Fine nickel 15 jewel movement with screwed jewel settings.